2017 was an eventful year for Procurement professionals working in the Telecom space. 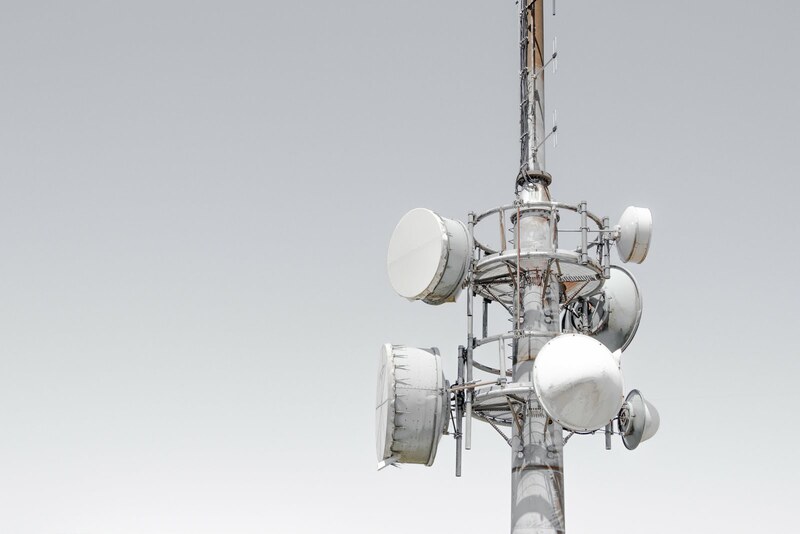 The continued emergence of new technologies and the constant threat of data breaches have led companies of all sizes to take a more proactive approach to their Telecom purchasing. Recently, Source One Director David Pastore sat down with the Source One Podcast. Sharing his Telecom procurement expertise, Pastore reflects on the past year and predicts the trends that will define Telecom sourcing in 2018. Source One: Welcome to the Source One Podcast. Consider us your source for all things Procurement, Supply Management, and Strategic Sourcing, anytime, anywhere. In the final days of 2016, Source One Director Dave Pastore reflected on the year in telecommunications sourcing. Three emerging trends stood out. Increasingly popular with companies of all sizes, these areas promised to gain even more momentum in 2017: the adoption of Software-defined networking technologies, carrier cloud connected services, and managed security services. Twelve months later, Dave joins us to discuss how those predictions panned out and provide a forecast for Telecom procurement in the coming year. Last year, you mentioned that we tend to hear about new developments in Telecom for a long time before we see them practically applied. Did 2017 meet your expectations for practical applications of these three emerging systems? Dave Pastore: It did. In fact, in many ways it exceeded expectations. In the past, adoption of emerging technologies in the telecom space tended to have much longer ramp periods, but in areas like SD-WAN, cloud connected services, and managed security the take up has been much more rapid. S1: Were there any industries in particular that met, exceeded, or failed to meet your expectations? DP: We’ve got clients in a wide variety of industries from financial services to retail to high tech and so on and my previous statement holds true across the board –there is a lot of interest in what’s going on in the marketplace and so many organizations are looking to us for insight into how they can better support their business with the new technologies and services offerings being made available. S1: In 2016, most of Source One’s clients leveraged SDWAN technology as a backup or to cover low-priority areas at minimum. How have SD-WAN technologies evolved? DP: Well, the evolution of SD-WAN has been interesting in that it brought with it many small, new players, many of whom have already been gobbled up by the 800 pound gorillas -Cisco buying up Viptela and VMWare buying VeloCloud come to mind. Meanwhile, the carriers have their own offerings, in many cases through partnerships with some of the same players. Really, things are moving at breakneck speed as everyone is clamoring to try to get the edge on competition and become the behemoth, clear market leader in the space. Of course, that introduces some challenges in truly qualifying service offerings because quality and completeness can vary fairly substantially due to the pace of things. S1: Has the rapidly changing market caused clients to consider SDWAN any differently than other technologies? DP: I think it’s definitely a factor. There’s an interesting balance between general interest in new technology, which –like I said- often moves a bit more slowly, and a keen awareness that things are still a bit volatile and so it’s prudent to proceed with caution. S1: Switching gears to cloud connected services, have the carriers made it easier to establish connections with companies? They definitely have. The carriers started a few years ago with some of the heavy hitters like SalesForce, Azure, and AWS. I’m not sure if they were testing the waters to see if it would sell or if they were going with the obvious companies as a proof of concept to get other service providers on board. I would guess mostly the former, but the latter probably factored into at least some cases. S1: What’s next for companies who’ve integrated cloud services into their WAN? DP: The most interesting thing to me about this trend has been that within just the past few years many had speculated that network connectivity is just getting dumber. All people cared about was big pipes to connect data and applications between point A and point B. Now, with cloud connected services –not to mention SD-WAN and managed security- the conversation has changed quite a bit. Networks are now enabling business in a different way than just providing pure bandwidth. So in terms of what’s next, I think we’ll continue to see a trends of the carriers layering additional third party services as well as native services into their offerings in order to further enable new technology and fulfill even more complex business requirements. VMWare throwing their hat into ring on the SD-WAN front is evidence of that, I think. S1: In your opinion, do companies seem willing or able to invest in the necessary cybersecurity services? DP: For the most part yes. It’s becoming an increasing priority. In banking, for example, regulation requires it. In other industries like healthcare, insurance, and pharma security is critical due to the sensitive nature of the data these companies deal with. In retail, companies are extremely wary of becoming the next news story about a breach. So yes, security will continue to be a trend in our increasingly connected world. In fact, I saw a statistic recently that said there would be a shortage of 2 million IT security jobs in 2019…just that gives you an idea of where the security trend is heading. S1: What new threats have emerged in the last year? DP: I’m not really a security expert, but based on just this discussion alone, we’re talking about potentially introducing more physical connections to the outside world to networks in some SDWAN configurations. We haven’t talked about it, but even the shift from traditional voice communications to VoIP or SIP introduces new security challenges. Generally, like I said, we’re increasingly interconnected, which introduces a lot more complexity, and with complexity new vulnerabilities are often overlooked and exploited. That’s why many organizations are looking to stay ahead of the curve and are being proactive about ensuring security –finding problems before someone else does. S1: How do you predict providers will win over companies who’ve previously resisted investing in security solutions? DP: I’ll be interested to see how that plays out. On one hand, many organizations are bolstering their own internal capabilities. On the other hand, the deep expertise that third party firms can bring is often difficult or impossible to develop and maintain in a vacuum of today’s enterprises. I really do think that most companies will identify a need at some level to bring in expertise at least as an enhancement of their own internal capabilities. S1: Are there some companies who won’t invest until they’ve suffered a serious breach? S1: Do you predict these trends will continue to gain momentum in 2018? DP: Absolutely –we’re just getting started and 2018 will be an interesting year –these trends will continue to gain momentum and speed. S1: What surprising trends did you observe throughout 2017? DP: Beyond what we’ve already discussed, I would just say in general that the pace of adoption has been the biggest surprise. It’s quite a shift from the previous decade or so of technology adoption in the networking space. S1: What new trends do you see emerging in the new year? DP: You’ll have to read my upcoming blog to find out! Check out the Source One Podcast every week for more Procurement and Strategic Sourcing insights from Source One's industry leaders.